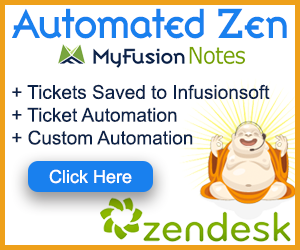 Auto opt-out your contacts in Infusionsoft. While you have probably not needed to programmatically opt people out of your list, there are times when it can be extremely useful - especially when you're integrating multiple systems. You can now automatically and programmatically opt a single person or hundreds of contacts all at once out of your email marketing. There are virtually no options to configure, so using this Helper is a breeze. You can also supply a reason for opting the person out as is asked for by the email compliance team. Hello and welcome to MyFusion helper. My name is Troy Broussard. In this short video, we're going to talk about the simple opt out helper. Now, this is a very simplistic helper. There's not a lot to it, so this video is going to be short and sweet. So, let's go ahead and jump right in. I'm going to start out by showing you how to set it up inside of MyFusion helper in the app interface, and then after that, we’ll jump into Infusionsoft as well and show you how to configure it there. Then, lastly, we’ll just talk about some of the different use cases of where you might want to use this in your business. All right. So, let's take a look inside of the app. Okay. Here we are, already logged into MyFusion helper, and I'm going to go ahead and click on the create new helper and we’ll type in opt for simple opt out, and you’ll see it right here in the admin sections. You can also just select, if you like. If you don’t wish to type it in, you can just browse down and do it this way, but there's getting to be a lot of them, so it might be easier just to type it in. Then we can give it a name. So, I’ll go ahead and call it the simple opt out demo for purposes of testing here. We’ll go ahead and configure that. Now, when you're opting someone out of a list, there's only a couple of things you really have to do. So, this helper is quite simple to configure. The first is just selecting which email you want to opt them out of. So, 90% of the time, or probably 95% percent of the time, you're going to be using email, but you also have the option of the secondary email address or the third email address, but most of the time, you're going to be using this primary email address. This should be your reason for opting them out. Now, this is a manual opt out that we're recording through the API. So, the API in Infusionsoft does require you to put in a reason here. So, this might be something to explain why you're taking them off the list. So, you could say something like this: “Client opted out of our membership site, and opting them out of Infusionsoft as well.” Okay. So, then we could go ahead and record that reason, and that is all we need to do in order to create this helper. Now, the uses for this are fairly simplistic, and we’ll go into that in just a minute, but that is all there is to deploying it. Now, we go ahead now and copy this link here using the copy link, and that will put on the clipboard the link that we can paste into Infusionsoft. We can pull up Infusionsoft here and we can drag an HTTP snippet into our sequence and go in here and paste that URL in and that is all you need to do to have this ready to go. Now, I recommend that you name these HTTP sequences in a way that make it easy for you to understand what they're doing. So, for example, we’ll do MyFusion helper and then simple opt out. That way, it's just clear what they're being used for, and of course, we want to set this to ready and the sequence, after published, would be ready to go. So, let's jump back into the keynote and talk about some reasons why and how you’d want to use this. So, as I said, there's only a couple real instances where this makes a lot of sense. A lot of times, it's integrating with other systems. So, let's say that you have multiple systems that integrate with Infusionsoft and maybe they have cancelled through your membership system and you want to go ahead and opt them out of your email list at the same time and those systems don’t necessarily talk to each other. Well, that would be a perfect example of when you might want to do this. You might have a goal that fires inside of Infusionsoft when they terminate their membership and you may wish to go ahead and opt them out of your email as well here. That's not super common, but it is something that we have come across with a few different systems. Another case is just opting out non-engaged subscribers. Now, again, everybody has their way of running their business with their email list. Sometimes, clients will choose to simply leave those opted in and just untag them and remove them from a tag that is the marketing list tag, for example; however others don’t use or maintain tag-based lists and instead, they will do everything through just everybody that's on the list opted in. So, in that case, opting them out manually is important and that's what this can facilitate with. We have some other clients that use it for other more specific cases as well, but they're a little bit more specific. So, those are just a couple of examples of when you may want to use this simple opt out in your business. Hopefully that helps you and gave you some quick examples. If you have any questions, reach out to us at the help desk at help@myfusionsolutions.com. Take care.